Tales of the Trees: Apples and Cheese! New month, new Scentsy news! I LOVE the new warmer this month and think it's the perfect gift for that special teacher, without being too cheesy with a teacher theme. 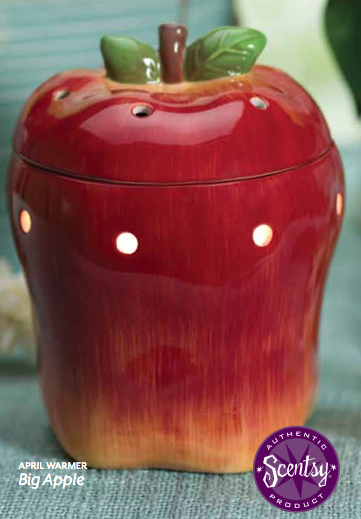 Do you like the Scentsy warmers that come with lids? I love them, and I don't have any trouble with the scent coming through. Thoughts? I've been warming this a lot and every time I do Luke tells me it is his most favorite scent ever. It is a very clean, strong scent. I don't talk about it a lot but I also sell a line of Fondue Warmer from Scentsy Family called Velata. I'm a big fan of these and use them for every party I host. I always end up selling a fondue warmer when I set one out because people love it that much. My friend Jill used her Velata warmer for a Valentine's party and I thought it was adorable! Plus the chocolate is amazing. In the past chocolate was the only food item offered with our fondue warmers, NOW you can enjoy cheese also. 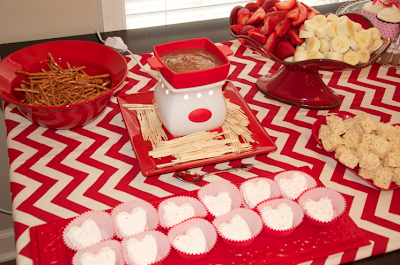 If you haven't yet seen the fondue warmers that Velata offers check it out here! As always, if you have any Scentsy questions, email me and let's chat! oh my goodness, I didn't know scentsy did fondue and I thought you were going to say that there's a cheese scent! !